Start Christmas Day off the right way by getting your little ones to pull on this super-fun elf jumper! 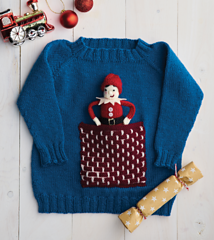 They will be delighted by the elf riding in the chimney pocket. 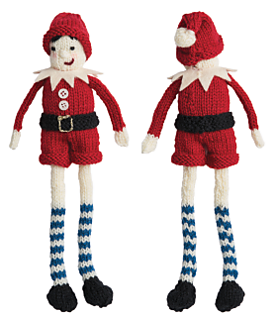 Note If you are making the Elf only, you will need one ball each of all of the yarns listed in the size table.